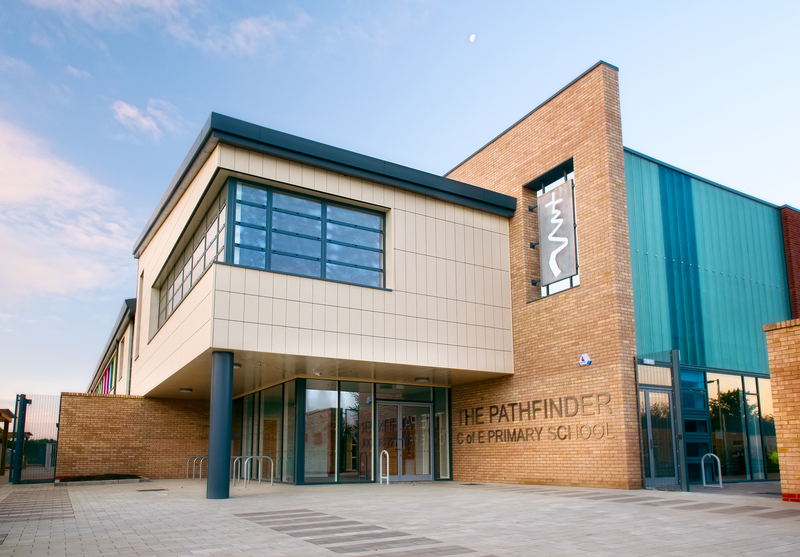 The Diocese of Ely sponsored Pathfinder C of E Primary School is an integrated 630 place, 3 forms of entry school, 52 place pre-school and out of school club, located in the first phase 1 of the proposed Northstowe new town settlement. 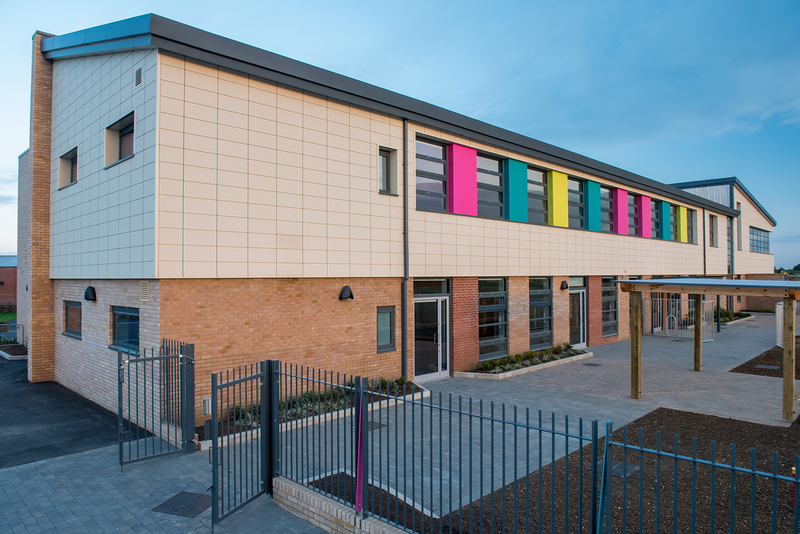 It is the first building on the site following a ten year gestation period. 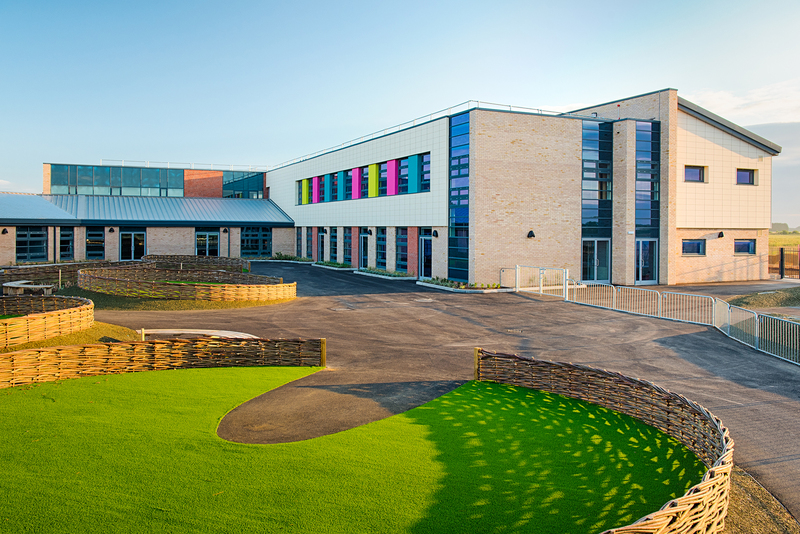 In addition, and prior to full school occupation, the design accommodates interim community and healthcare use, and interim KS3 (secondary) teaching. The layout is predominantly driven by the need to respond to the Northstowe Design Code by addressing the key intersection of the principle greenway and busway, to provide a landmark building and to provide enclosure to the busway. The building has been arranged with its two storey elements aligned with the greenway and the busway, and with the main entrance located at the junction of these two wings. This arrangement places the main entrance at the intersection of the greenway and the busway, making it highly visible and easily accessible. The position of the two storey elements emphasises the intersection of the greenway and the busway and the contrast in form between the school and the future residential developments ensures the building will be a significant presence in this phase of the Northstowe development. The location of the wings along the greenway and the busway, and the internal layout allows for dedicated entrances to the early years and interim community facilities to be formed. The internal layout arranges the key Stage class bases around open plan group activity areas. 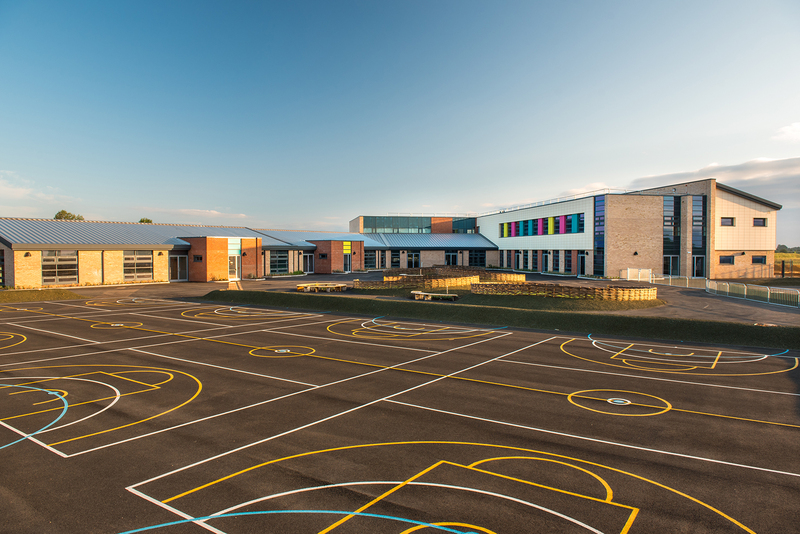 The project involved complex negotiations with County, District and Parish Councils, together with the Joint planning committee and the Northstowe Forum. 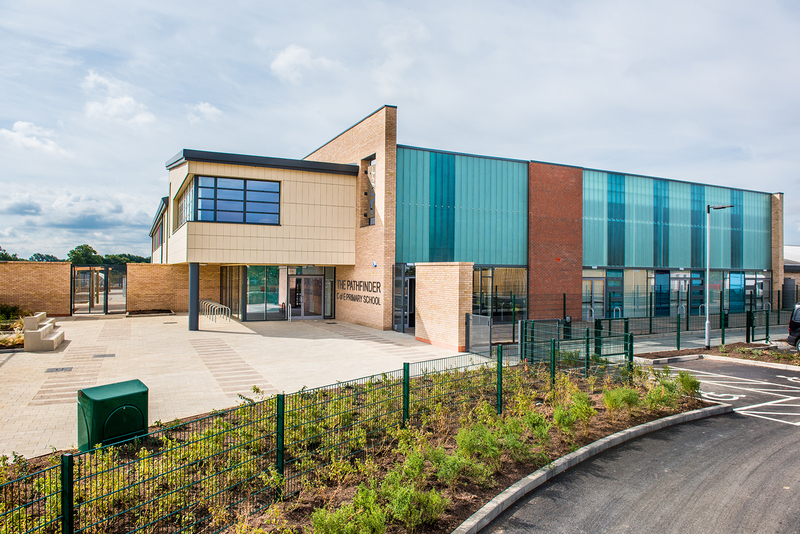 As a result of the mixed use of the building in the early years of the Northstowe development the project team included a wide range of stakeholders, in addition to the school Sponsor and county client there was engagement with Community and NHS representatives. The scheme has been developed to BIM level 2 using the Kier BIMxtra platform.